In need of kitchen remodeling? Let SoFlo Kitchen Remodeling bring your dream kitchen to life. Our work 100% guaranteed. 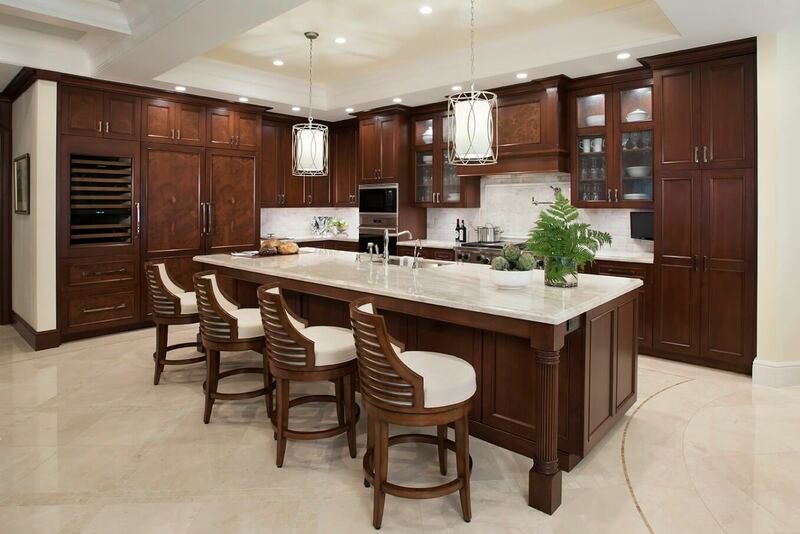 SoFlo Kitchen Remodeling & Custom Cabinets is a company engaged in designing your kitchens, remodeling, and custom cabinets. We do great kitchen remodeling west palm beach and throughout many other cities. We are an affordable shop that exists to bring the best quality among homes throughout South Florida. We have a creative and professional team of designers to measure, plan, and point you in the right direction for the best possible solutions for your new kitchen. 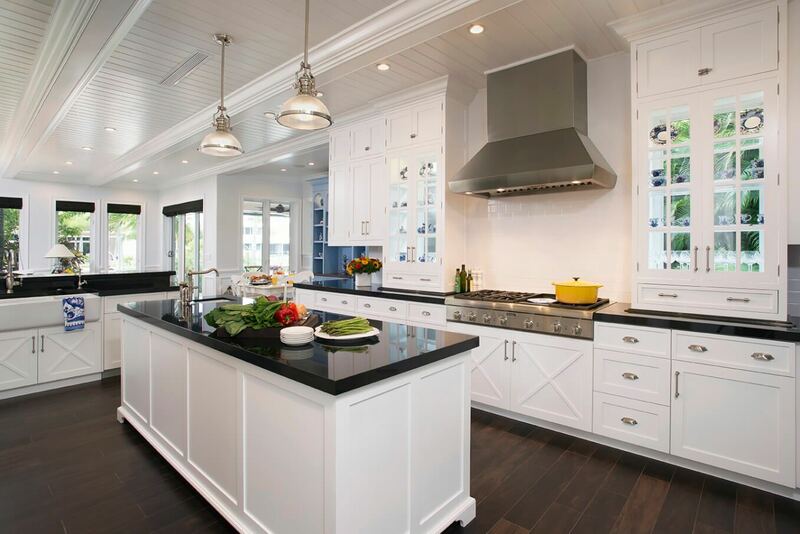 From complete Kitchen Renovations to contemporary & traditional kitchens, SoFlo Kitchen Remodeling is the perfect partnership for your kitchen remodeling needs. Years of experience in the field of kitchen remodeling and customizing cabinets helped us to gain the trusts from our loyal customers. We provide many options and services from which our customers can choose from. Looking for kitchen renovations, customizing new cabinets, remodeling the entire kitchen or any other solutions for making the kitchen more vivacious and petite? If you live in South Florida, then SoFlo Kitchen Remodeling is your perfect partner to deal with. Remodeling your kitchen is not a small deal. One should consider many factors before remodeling the kitchen. At first, whether to keep the current layout of the kitchen, make small changes or remodel the entire kitchen has to be decided. 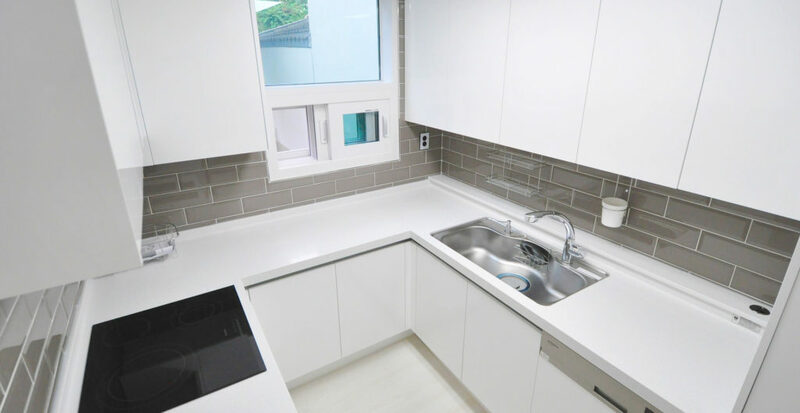 There is a number of other factors such as where to place the fridge, where the dishwasher shall be placed, sink place and size, waste management, type of granite, under cabinet lighting. These all require an expert to advise and recommend based on the customer requirements and budget. The expert knows which part of the project requires less investment and which part of the project requires more investment and shall advise accordingly. Are you planning on renovating your kitchen? Are you planning the kitchen of your dream? Are you looking for a complete overhaul of the kitchen within your budget? Having years of experience in this field SoFlo is truly remarkable in providing the best remodeling your kitchen. Visit us and explore your favorite remodeling and design ideas. SoFlo offers commercial kitchen remodeling as well. If you own a restaurant or a hotel and cooking a food for commercial purposes, you always try to offer remarkable services for the best customer experience. We help in to achieve that. SoFlo helps in spicing up the kitchen storage completely. Whether you are looking for decorative finishing, decorative colors or a perfect hardware, SoFlo provides everything. Moreover, if you want the cabinets to have a traditional look or a modern look, the designs of SoFlo is just vivacious. Traditional kitchen has an elegant look which has a timeless design and formal. Traditional kitchen aims to create a homely and warm feeling. SoFlo has numerous traditional designs that fulfill the customer’s requirements. SoFlo uses the popular natural materials for natural finishing which makes traditional kitchens more adorable. How do contemporary kitchens look like? With the usage of new technologies and high tech materials, contemporary kitchens are perfect for the modern life. The contemporary kitchen looks stylish and gives a luxury touch to your home. 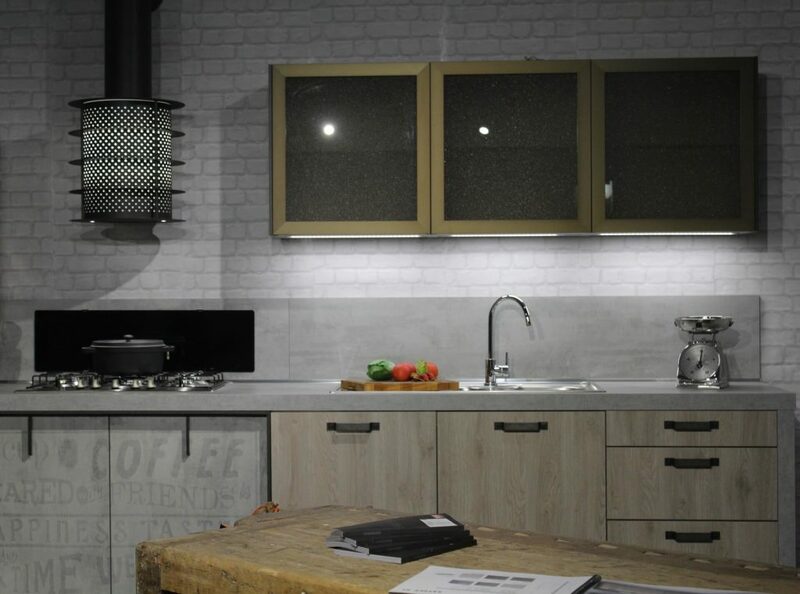 SoFlo offers solutions to contemporary kitchens requirements. SoFlo offers a number of ideas for your contemporary kitchens. SoFlo helps in giving your kitchen an industrial look, compact, citrus kitchen, orange or white design or light-filled designs. Further, we also offer both traditional and contemporary combination for your best kitchen experience. Due to rapid advancement and modernization, today we are available with a number of patterns, textures, and colors for choosing the kitchen countertops and surfaces. It ranges from acrylic sheets or natural stone to stained concrete. There is nothing like which is the best countertop. It completely depends on the number of factors such as how busy it the kitchen budget of the customer or any other requirements of the customers. Day in and day out the fashion and trends are changing. Choosing the right kitchen counterpart is not easy. We need to be updated with the latest theme by continuously studying the change in the latest technology. SoFlo does that for you. We strive and are committed to providing the best quality products to our customers. 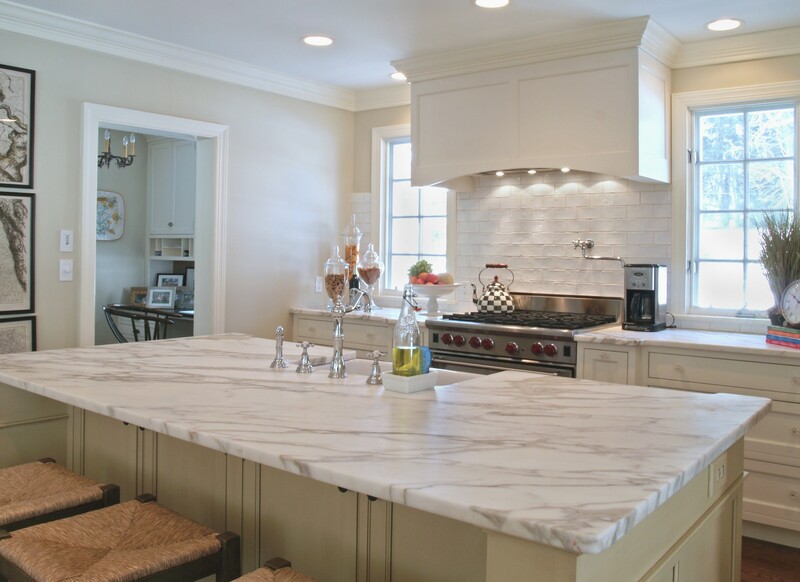 The countertops and surfaces are made up mainly of marble, Corian, quartz, glass, and tile. Always popular, commonly used for years, granite countertops are amongst the favorite countertops of the customers. It is wear resistant, tough and still affordable choice for the customers. Further, it highly enhances the look of your kitchen. The list is just indicative. SoFlo offers much more combinations of the countertops. Have you been planning on building an outdoor kitchen for a long time? Don’t wait! Cooking and dining outdoor can be the primary reason to spend time with your loved ones in the yard. Your yard is a luxury and it meant to enjoy with the family. The outdoor kitchen may be L-shaped, U-shaped or an Island. 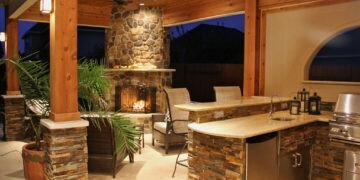 The outdoor kitchen may be movable or built in. SoFlo has got creative ideas for your outdoor kitchen. Our creative professional team will suggest the worthy ideas which can make your outdoor ding experience just awesome. From vintage to contemporary, there is a number of ways in which the design and style options that you can choose for your kitchen backsplash. SoFlo offers a wide range of colors and materials which can be of any look and suitable to your kitchen. 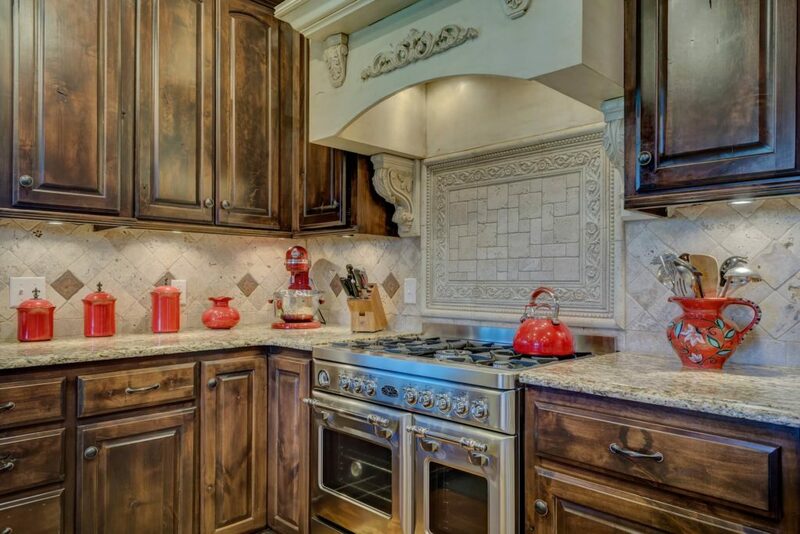 The kitchen backsplash is available in granite, tumbled marble, glass, glass tile, Metal tile. 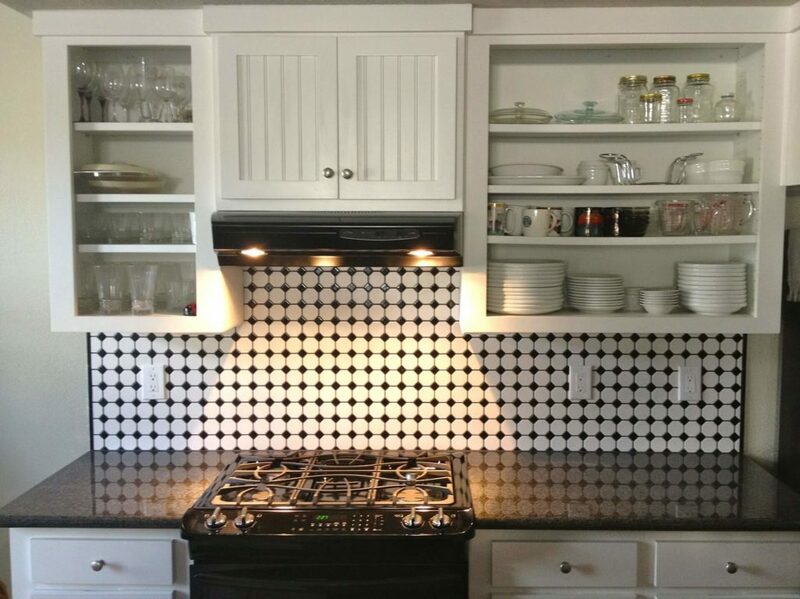 The most commonly used kitchen backsplash is tile backsplash. The outer design of your kitchen depends upon your kitchen tile and stone. Hence the type of tile and stone shall be chosen wisely. You can browse our wide range of tile and stone accessories that are available in slate, marble, granite, limestone, split face mosaic, quarry, terracotta, quartzite etc. Each of the stones is varying from one to another and fixed as per the requirements of the customer. SoFlo is one of the largest retailers of kitchen tile and stone. Kitchen sink and faucets are available in a variety of styles and finishing. 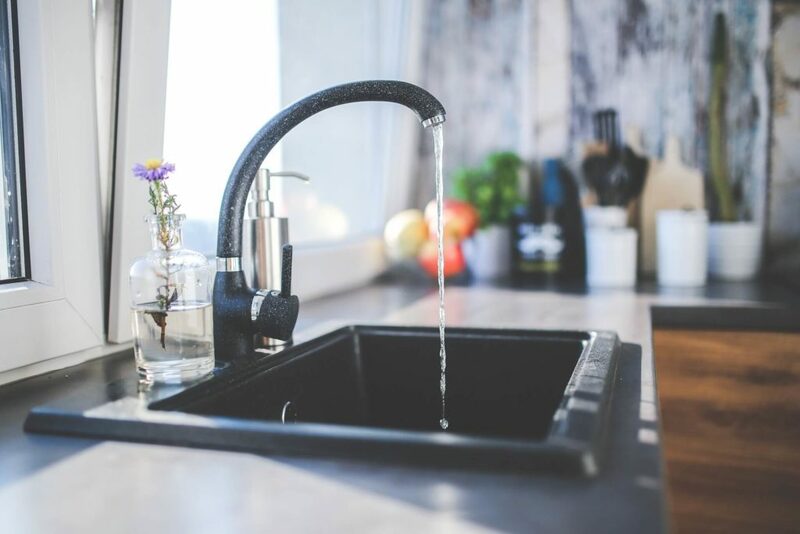 Hence, sometimes you may find it difficult that which kitchen sinks and faucets best suits your kitchen as well as your budget. The experts at SoFlo helps in choosing the best kitchen sinks and faucets based on the understanding of your requirements. We make your task easy in choosing the style which matches your kitchen. Do you want your existing cabinets to give a stylish and attractive look? There are plenty of ideas that SoFlo can help with. SoFlo offers from traditional to contemporary style for refinishing your kitchen cabinet. Further, SoFlo is available with the latest trends and the fashions in the kitchen remodeling industry. 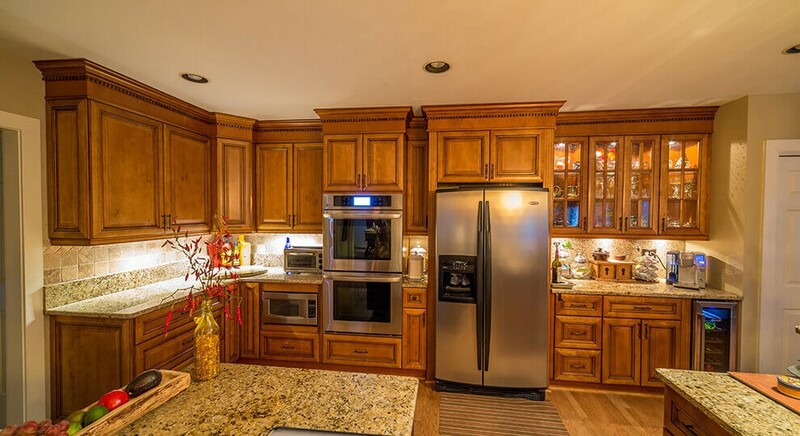 We offer paint solutions, stain, glaze, and other custom finishes of a kitchen cabinet. 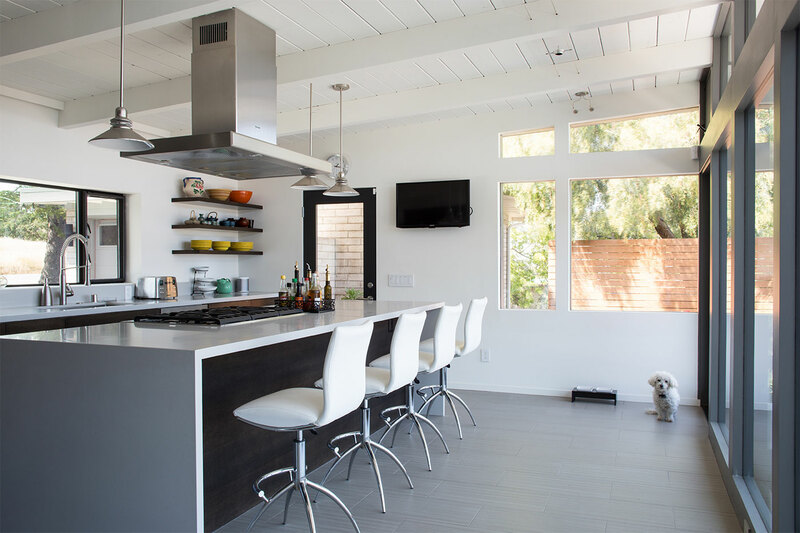 Designing overall kitchen majorly includes designing the flooring, the work surface, the cabinets, the tile, and stone. These factors not only chosen based on the outer appearance. However, the durability, cleaning advantages, comfortable etc. also shall be considered. SoFlo offers a variety of designs for the kitchen. The kitchen is the heart of your home. SoFlo helps in choosing the right theme for its design. When you have a small kitchen, you need to accommodate a lot of things in small space. The design team at SoFlo helps the optimum use of the space. Besides offering new cabinets and refinishing of the existing cabinets, SoFlo offers customization of cabinetry as well. It may sound difficult to customize the cabinetry of your kitchen but we are here to help and simplify. We customize the cabinets as per your requirement. SoFlo offers the highest quality of craftsmanship which best suits your kitchen. The windows and doors help in getting the amazing outer views. Do you want to be the natural lights to your kitchen or a window which helps for exiting in case of emergency? SoFlo offers a variety of window and doors which can best fit your requirement. The range varies from casements, single hung, gliders, etc. in Low-E, Insulated and/or High Impact Glass. The kitchen is the hub for many people. Hence, the kitchen shall be comfortable with the perfect lighting. SoFlo offers all the types of lighting such as recessed, pendant, to be used under cabinet, specific task lights, or general lights and lights with the matching accent to your kitchen. Many people make mistake by installing too many lights in the kitchen. Our team will help in achieving optimize lighting solutions with the lower consumption of electricity. 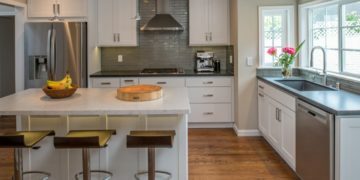 If you want to remodel your kitchen and want to apply environment-friendly techniques, it is a smart step. SoFlo helps in implementing the best practices to create the environment-friendly and energy efficient kitchen. SoFlo always promotes green and eco-friendly remodeling of the kitchen for sustainable development. 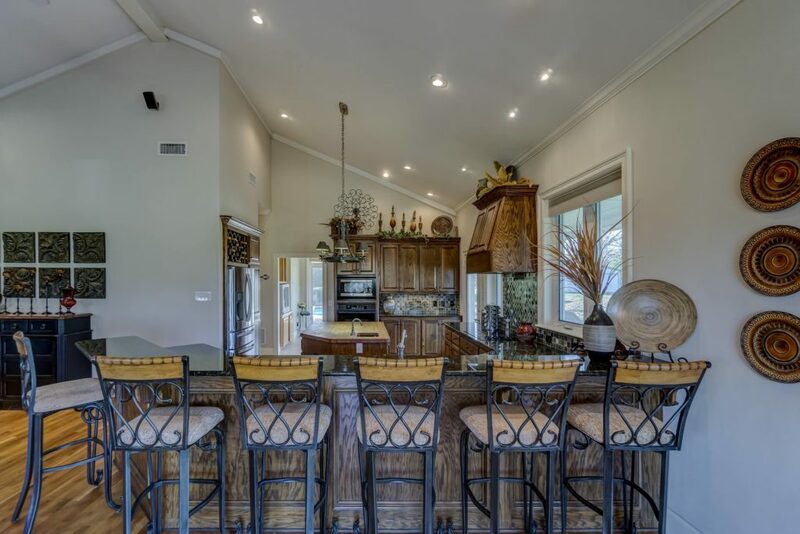 We use green countertops, sustainable cabinets, flooring made up of renewable energy sources etc. SoFlo also offers to preface of your cabinets. Sometimes this helps in avoiding the cost of installation of new cabinets. Reface instead of reinstall. It saves your time and creates no mess. SoFlo is not just the trader of the kitchen equipment. However, we also offer the printing solutions for your kitchen. It is frustrating and time-consuming job to choose which paint is perfect for your kitchen. 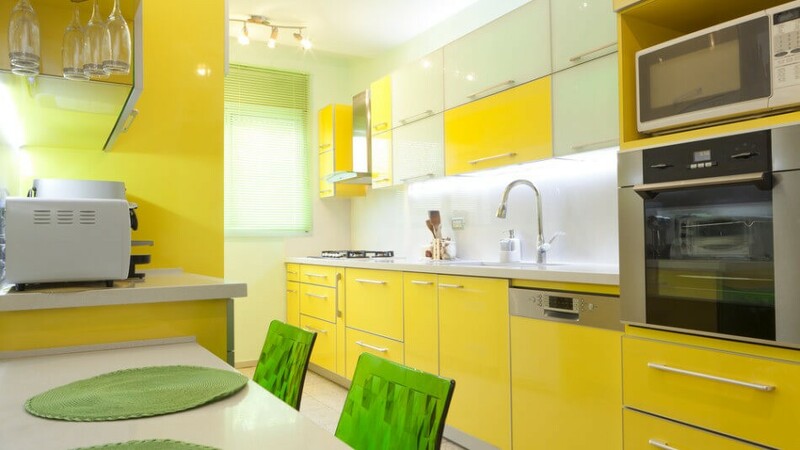 Years of experience in the field helps us in choosing the best combination of the color for your kitchen. We help in choosing the right paint. Besides remodeling the kitchen, SoFlo also offers all the kitchen appliances such as chopper, mixer, grinder, fryer, microwave oven, blender, cooker, stoves, sandwich maker, tea, and coffee maker and much more. SoFlo is a one-stop shop for procuring all your kitchen appliances. SoFlo offers durable kitchen flooring. It is wise to choose the flooring based on the usage of the kitchen. It the usage of the kitchen is intensive and high than the flooring shall be of a rock-solid quality and vice-versa. Customization of woodwork can be possible in almost any area of the kitchen. Whether it is cabinets, windows or flooring you can customize by woodwork based on your requirements. The above all the services help in modernizing or giving a traditional touch to your kitchen. SoFlo deals only with the best brands products. SoFlo procures the materials required directly from the manufacturer. SoFlo passes the advantage of the lower price to its customers. It gives us a competitive advantage. SoFlo believes that there are some essential ingredients which create your kitchen exceptionally. These are smart design, a perfect functionality, and petite style. Our team is always passionate about practicing these for procurement and providing value-added services to our customers. 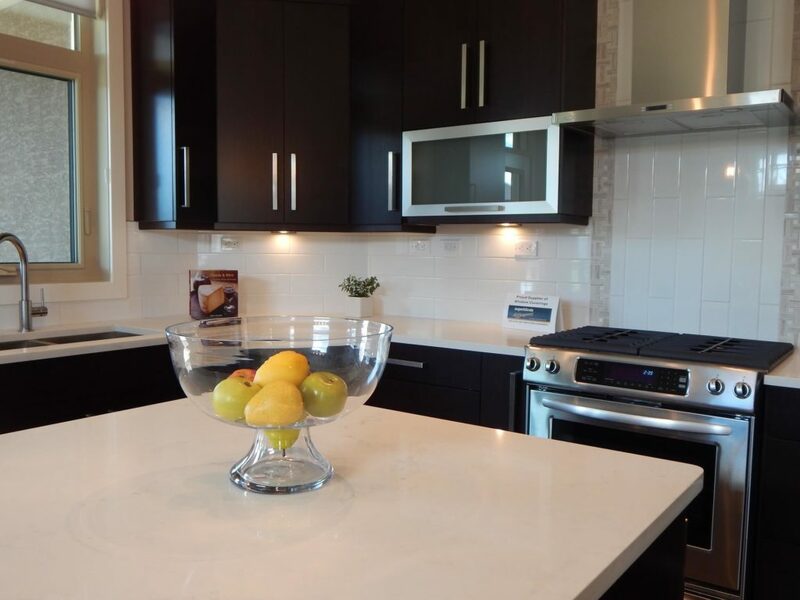 The SoFlo Kitchen Remodeling team was very sufficient in maintaining the integrity of our new kitchen remodel. They were amazing in their planning, and it's great to finally trust a reputable company to work in person with their owners, designers and installers. SoFlo Kitchen Remodeling is a leader in their field! SoFlo Kitchens over delivered on their promise for beautiful kitchens! They were consistent in their work schedule, and they were very professional. They finished my kitchen project on time, highly recommend! As a civil engineer myself for major projects, I really liked working with SoFlo Kitchen Remodeling for my new home I purchased in Boca Raton. My own kitchen was finished in a timely manner. These guys are a great example of designers who work well and ethical. SoFlo Kitchen Remodeling and Custom Cabinets. Copyright © 2018.